Some health insurance plans on healthcare.gov can be confusing to say the least and government health exchanges can be expensive and restrictive. To help you navigate your health insurance options, AgileHealthInsurance (yup, all one word, not Agile Health Insurance) provides an online platform to compare private health plan options that do not feature on government websites. No matter where you live, you should be able to find coverage because AgileHealthInsurance is nationally licensed. Short-term Health Insurance to protect you in case of illness or an accident. Health Benefit Insurance that pays you a set amount for hospital or doctor services. Healthcare Sharing Ministries which is designed for members with religious affiliations to pay for medical expenses. 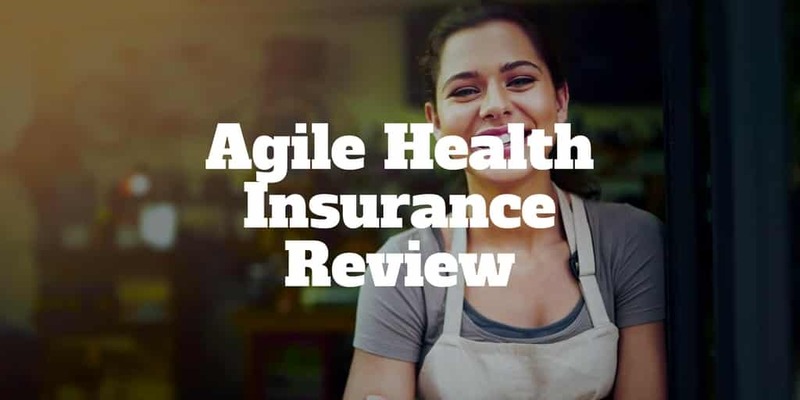 In this AgileHealthInsurance review, you will discover the advantages of these health plan options, and you may be pleasantly surprised to discover the cost can be as much as 50% lower than the price charged by Obamacare. How Does Short-term Health Insurance Work? What Do You Get With Short-term Health Insurance? Why Choose Short-term Health Insurance Coverage? How Does Health Benefit Insurance Work? Why Choose Health Benefit Insurance Coverage? What Are Health Care Sharing Ministries? Can I Get Dental Insurance From AgileHealthInsurance? Beyond short-term health insurance, health benefit insurance and health sharing ministries insurance, AgileHealthInsurance also provides dental insurance and telemedicine options so you can easily communicate online with health professionals. Price Guarantee: AgileHealthInsurance guarantees that you will receive the lowest price available on short-term health insurance plans. Large Selection of Health Plans: Over 5,000 short-term health insurance plans are available. Fast Online Approval: You can compare health insurance plans online and receive approval in as fast as 8 minutes. It’s easy to compare health insurance quotes but what short-term health coverage do you receive? Short-term health insurance is designed to cover you for a fixed period of time. It usually costs less than other forms of medical health insurance and has advantages over major medical insurance, such as Obamacare (ACA) and even some employer plans. For example, short-term health insurance can be used to pay for any doctor or to visit any hospital. And you won’t be stopped in your tracks by no open enrollment restrictions as you would elsewhere. The approval times tend to be much faster and in some cases you can even receive health coverage as soon as the next day. AgileHealthInsurance provides affordable health insurance in case you miss an Annual Open Enrollment period for Obamacare/ACA plans. ✅ Affordable: Lower cost than Obamacare in many cases. As much as 50% lower in some cases. ❌ Pre-existing Conditions: Coverage is not provided if you have any pre-existing conditions. ✅ No Enrollment Periods: You are not prohibited from applying for insurance at any time of year. ❌ Health Checks: When applying, you will be required to undergo a health evaluation. ✅ Lower Deductibles: Compared to ACA coverage, the deductibles tend to be lower. ❌ Prescription Drugs: Coverage may not be extended to all prescription drugs. ✅ Flexible Benefits: Both benefits and coverage can be adapted to fit your needs. ❌ Chronic Conditions: If you have a chronic condition, short-term health insurance is usually not a good option. ✅ No Network Restrictions: Any doctor or hospital service can be accessed. ✅ No Premium Hikes: During your coverage period, premiums cannot increase. Health Benefit Insurance protects you when you need common medical services. The way it works is health benefit insurance pays a fixed fee to you or your provider to cover a medical event. It may also provide supplemental medical insurance for accidents and illnesses, in addition to non-insurance items including telemedicine and pharmacy. Health Benefit Insurance provides “first dollar coverage” as opposed to co-pays and coinsurance like traditional medical insurance. Health Benefit Insurance means that you get paid directly, and you can spend the benefit however you wish. So, if you want the flexibility of controlling the benefit paid directly to you then it’s a better choice than traditional coverage. It may also be a good temporary coverage option if you are waiting to enroll in a major health insurance plan by your employer. Other times when Health Benefit Insurance can be useful include when you don’t need major medical insurance and when you are outside of the open enrollment period for Obamacare. Through AgileHealthInsurance, you can access Health Care Sharing Ministries (HCSM), but what exactly are HCSM? Health Care Sharing Ministries are not insurance. They are cost-sharing programs that distribute monthly dues among members of a religious denomination or like-minded ethical group. If the group does not pay for the medical expenses in full, you will be responsible for them so you don’t receive a guarantee that your medical bills will be covered. Nevertheless, the idea is that groups of the same religious or ethical affiliation pay medical expenses for one another as part of a shared collective. AgileHealthInsurance provides telemedicine plans for individuals and families using Teladoc, a leading telehealth service. The way it works is when you feel unwell or have a health query, you can connect any time of day or night with a licensed healthcare professional. You can request a doctor online, by mobile phone, or mobile app. Whether you prefer a phone or video consultation, both are possible and, if necessary, prescriptions are sent to your pharmacy of choice. Generally, teladoc doctors can diagnose health concerns ranging from a cold or flu to tonsillitis. AgileHealthInsurance provides health plan options that may cost as little as $100 per month to cover medical events when other health insurance coverage options are costly or not available. When you fall outside an Annual Enrollment Period for major medical insurance, or simply cannot access health insurance because you are a student, working part-time, or are in between jobs, short-term health insurance may be a great option. Health Benefit Insurance is also available in similar circumstances and may be a good choice if you want to get paid directly (as opposed to your healthcare provider receiving payment) because you have more flexibility over how you spend the benefit. Other coverage options include dental insurance which may be useful if you are on Medicare, for example, but don’t have a dental plan. And Health Care Sharing Ministries are also available via AgileHealthInsurance for like-minded religious and ethical groups. AgileHealthInsurance has consistently scored top marks from its customers and earns an A+ rating from the Better Business Bureau. Its founding team has been to the forefront of online health coverage for decades so you can be confident that AgileHealthInsurance is run by an experienced team who know how to navigate the healthcare industry and deliver to you competitive health insurance options.